A 20 year old boy filed a police complaint at the Shastri Nagar police station,Chennai last night (30th May) against actor Suriya claiming that the Singam actor had slapped him on the face for getting into an argument with an old lady. This page hosts a weekly slideshow related to Tamil movies. Each slide includes a picture and some description about that picture. All the slides will have a recurring theme. People looking for actress stills, actress images, actor stills, actor images, movie stills, movie images, and other interesting topics, relevant issues in Tamil cinema will find this page useful. HOT: ‘SLAP’ CASE AGAINST SURIYA WITHDRAWN! 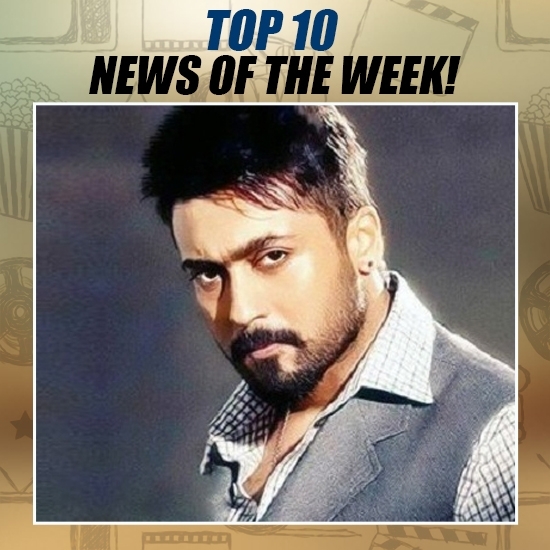 | TOP 10 NEWS OF THE WEEK (MAY 29 - JUNE 4).